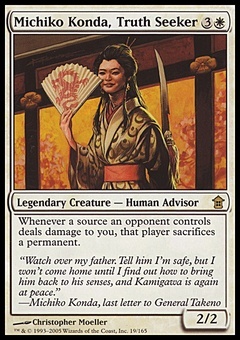 Sorin, Lord of Innistrad ($9.20) Price History from major stores - Dark Ascension - MTGPrice.com Values for Ebay, Amazon and hobby stores! 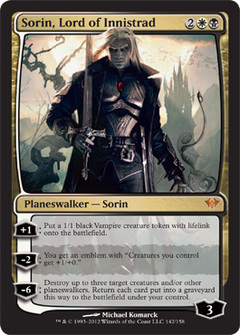 Card Text: +1: Put a 1/1 black Vampire creature token with lifelink onto the battlefield. -2: You get an emblem with "Creatures you control get +1/+0." 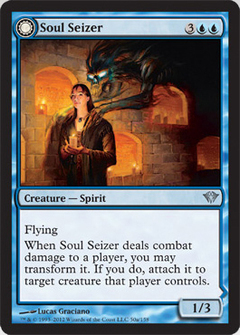 -6: Destroy up to three target creatures and/or other planeswalkers. Return each card put into a graveyard this way to the battlefield under your control.